| The official blog for ideasUK, the UK Association of Suggestion Schemes. Every year ideasUK holds the Idea of the Year Competition, which gives our members many benefits, such as providing additional recognition for their suggesters/organisation, as well as assisting with marketing their programme and enhancing management support. Remember that next week is the final week to submit your entries, as the closing date is fast approaching; May 31st 2015, so don’t miss out. To enter, members simply need to select and submit the best ideas that have been implemented within their organisation for the running year. All entries are assessed by an independent panel of judges who shortlist between 20-30 ideas. Entrants who are shortlisted for the final are required to attend the ideasUK International Conference in November, in order to have an opportunity to discuss their ideas with the panel of judges. As always, we have had a lot of interest expressed by members so we would ask that you please go to the members website for the full details around the competition including the current guidelines and entry form. Although the Competition is open to members only, we also encourage non-members to research the Competition too, because free entry in to the Competition, is just one of the many benefits you will receive if you were to become a member with ideasUK. Alongside this, membership will also provide you with countless opportunities to recognise, market and promote your organisations scheme, as well as learning from others as to the successes and pitfalls of their schemes. Please go to our public website for more information on ideasUK and to see how we could potentially be of help to you and your organisation. In the meanwhile, we hope you all enjoy the bank holiday weekend ahead and we look forward to receiving the last of the Competition entries next week. Don’t be afraid to try new things..
As the old saying goes, ‘all good things must come to an end’, and with that we draw to the end of International Ideas Week™ 2015… and what a week it’s been! We’ve been up and down the country, celebrating in others’ successes as well as trying something new by co-hosting two live and interactive, online events with the Wales Audit Office and the Ministry of Defence; both of whom are long-standing members of ideasUK. As with all things new, you wonder whether it will be a success or not, or whether you’ll be able to run the event without making any mistakes? I’d be lying if I said it all ran without a single glitch, but even with the odd issue here and there, I can report that the events were a definite success. The positive feedback we’ve had from our first event alone, has been overwhelming. It has definitely given us a taste for something new, and although it seemed a little overwhelming at first, ideasUK have definitely overcome the initial scares and look forward to bringing you more online events in the future. Both of our events have been recorded so we will be posting up the content over the coming weeks on our website as well as on our social media accounts so keep an eye out for that. I know they say, ‘don’t be afraid to try new things’, but it’s always a little easier when you’ve got a helping/guiding hand. With that said, ideasUK would like to convey a huge thank you to both the Wales Audit Office and the Ministry of Defence for all of their hard work in co-hosting the events along with ideasUK and ensuring that they were a success. We would also like to thank the All Wales Continuous Improvement Team for the part they played in the events’ success too. We look forward to bringing you more news and updates next week but until then, have a fantastic weekend and we hope you’ve enjoyed celebrating International Ideas Week™ with us all week this week. Next week sees the start of International Ideas Week™ 2015 and ideasUK is excited to bring you not one but two live, online events that are completely free to attend for all! Our first event is on Tuesday, May 12th, at 11 a.m. GMT. The event is being jointly facilitated by ideasUK and the Wales Audit Office, focusing on the benefits and the advantages of having an idea scheme within your organisation and how to engage your employees through it. There will be set questions put to a panel of of members from various organisations, working within ideas management, who will be sharing their experiences with you as well as answering live questions from attendees. The event will be recorded (making it available to view later) and ideasUK will be on the panel, along with the Wales Audit Office, the All Wales Continuous Improvement Community and the Ministry of Defence. We don’t want you missing out on the opportunity to put your questions to our panel so register your attendance now by clicking here as spaces are now very limited. So as not to keep you in too much suspense, we can tell you that our second event will be held on Thursday, May 14th, with further details going up on our website first thing next week. To keep up to date with ideasUK and what we’re doing, follow us on Facebook, Twitter and LinkedIn and don’t forget all our information is available on our website. Have a good weekend and get ready to celebrate with us next week!!! Did you know that ideasUK has been in operation now for 28 years? As I’m sure you can imagine, in almost 30 years there have been a lot of changes going on in the world around us, not to mention one of the biggest changes – the Digital Revolution – enhancing the way in which we interact and communicate with each other, through the countless different types of technologies all so readily available at the click of a button. So in turn, ideasUK joined the Digital Revolution and is now stepping it up a gear! We are currently in the process of updating our website as well as relaunching our social media platforms; Facebook, Twitter and of course the ideasUK blog. We have a lot going on as always, especially over the next few weeks with ideasUK International Ideas Week™, and we look forward to sharing all of it with you through our website (www.ideasuk.com) and our various online platforms. Another little fact for you.. did you know that in 2001, ideasUK launched a National day to focus on creativity and innovation in the workplace? National Ideas Day was launched on March 14th (Einstein’s birthday) and due to its success, we created International Ideas Week™ which now runs every year in May. This year, International Ideas Week™ will be running from May 11th to May 15th. Previously, during this week, we have hosted and facilitated Networking Events within our members’ organisations, to promote the importance of ideas and the impact they can have when utilised properly. Networking is a key tool to growth; giving you the opportunity to share your skills with others and in turn gaining invaluable insider knowledge and know-how to utilise and apply within your own organisation. However, the physical location of an Event can mean that you miss out from time to time, on potential opportunities to pick up invaluable information. So with our ‘viva la revolution’ attitude, we have decided to host two events during this years International Ideas Week™ to share and promote the importance of ideas and idea schemes, with both events being held…. drum-roll please…. online, live and interactive to attendees. What’s more, we will be recording the event, making it available to view at any time, which means you won’t miss out even if you’re unable to attend. Our first event will be held on May 12th 2015 at 11:00 a.m. GMT. Details on how to attend will be going up shortly so watch this space! Paul Sloane, one of the keynote speakers at our conference has written a blog post of his time at our conference. It is a very good piece that captures exactly the essence of our event, take a look and see what you think. The blog and the rest of the resources on Paul’s website can be found here. Well the beginning of November was our annual Idea of the Year competition, once again this year, the final was held in conjunction with our annual conference. If you think working overtime, skipping your lunch hour and staying chained to your desk will make you more productive, you need to cut yourself some slack and take a break. Work hard and break hard; doing so will make you a healthier, happier and more productive employee. A big thank you to Learn Stuff for sharing! With the planning for our annual conference and awards continuing apace we have great pleasure in announcing the sponsors for the Idea of the Year Awards. A big thank you to everyone at Emirates Aluminium for your sponsorship for 2012. I have just spent the past week in the United Arab Emirates visiting companies and auditing their suggestion schemes for accreditation 2012. 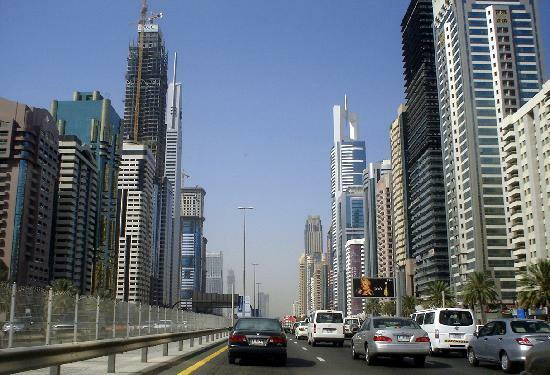 As most of you know, the UAE has developed hugely over the past 15 years and Dubai is hardly recognisable from the town it was in the late 90’s. Something that may surprise you though is how employee engagement is taking hold within Governmental Departments in the area. © Copyright 2010, 2011 ideasUK. All rights reserved. If you wish to use any text or images please contact ideasUK for permission.